Mens Stripe Pure Cotton Print Pyjamas. In Cord or Elastic Waist. 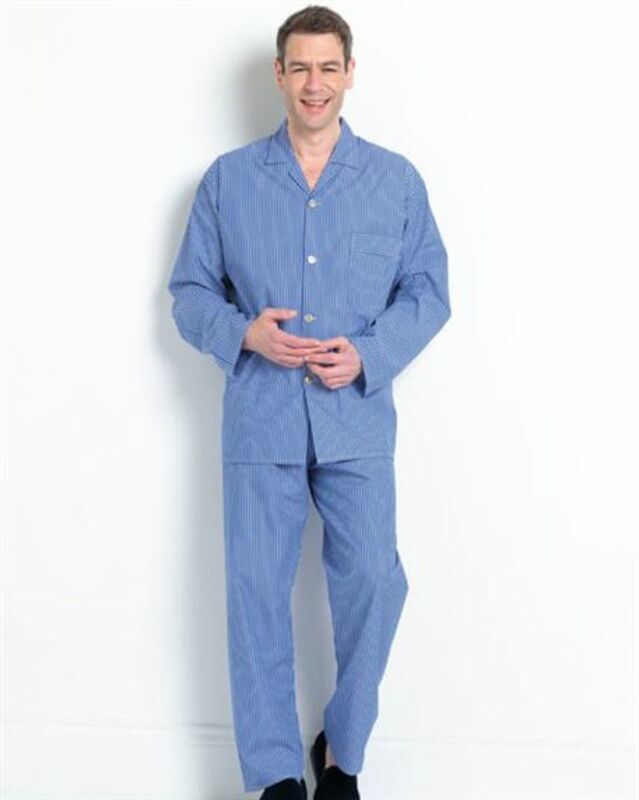 Mens Pure Cotton stripe pyjamas with a choice of cord tie or elasticated waist fastenings. Single breast pocket on pyjama top. These pyjamas will keep you fresh and comfortable all night long.